There’s nothing like warm pie straight from the oven. My husband I and I seek out spots to grab coffee and share a slice — we usually find these places in old, off-the-beaten-path diners that have been around for generations. My favorite everyday pie is my Grandmother’s blackberry, made with her tender, flaky crust and berries she picked fresh that day, or pulled from her freezer during the winter months. Her pumpkin pies are something truly special. You’ll never taste a better pie, made with fresh pumpkin and her own special blend of spices. In fact, the first time I was presented with a canned pumpkin pie, I was horrified. I was away from home for Thanksgiving and called her to ask if she’d make me my own pie for when I came home. There are many things that qualify as pie, mixes from a can do not. That’s where my love stops. Here’s my confession, I stink when it comes to baking pies. I do. There are no two ways around it. If you want a beautiful cake, I’m your gal. Cookies? Grab a glass of milk and chow down. Pies, though. Pies are my achilles heel. If I’m baking a pie, the crust is store bought and it’s watery. The good folks over at FoodChat recently reached out to me and asked if I’d host one of their very popular chats and discuss a topic I love. I love pie, so we’re going to chat about it the Tuesday before Thanksgiving. That’s right. Between now and November 22, I’m going to learn everything I can about the art of pie. EVERYTHING. The only way I’ll ever learn to bake a truly glorious pie is to practice. I can’t bake all day, every day for a week, like on the Great British Bake-off, but I can practice weekly. I’ve also called in expert Danica Kombol. When Ed Levine from Serious Eats declares your pie perfect, you better believe I’m going to have her in my corner. 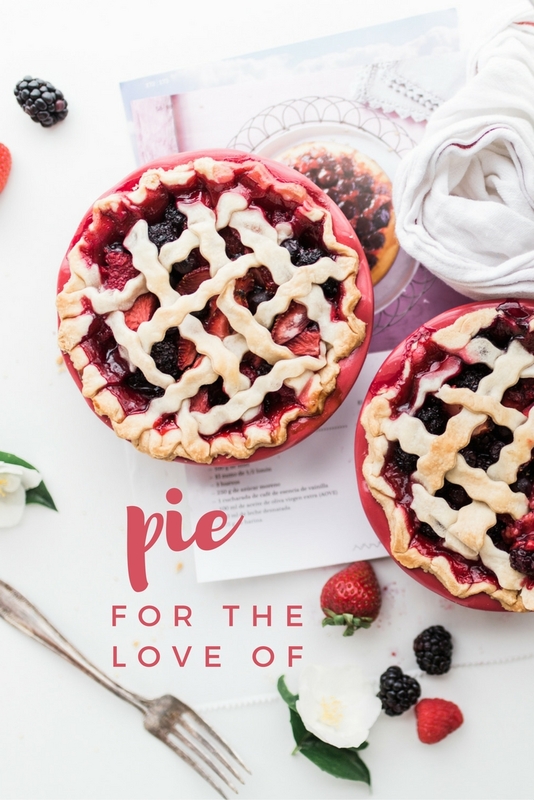 I’ll be sharing my mishaps, successes, and I’m sure there will be quite a few frustrated tears, but come Thanksgiving, I’ll be turning out beautifully made, tasty-treats, all in the name of pie. Don’t forget to mark your calendars for #FoodChat on November 22 at 11am EST. I’ll be chatting all things with pie with a host of experts. Copyright: Image courtesy of ©brookelark.